Direct investment team focused on renewable energy. A subsidiary of the Allianz SE Group we have invested over €3.5 billion of equity in around 1700MW of wind assets and 75MW of solar assets in Europe. We are also now active in investing in USA wind farms. Brookfield Renewable Partners operates one of the world’s largest publicly traded pure-play renewable power platforms. Our portfolio consists of hydroelectric and wind facilities in North America South America and Europe and totals more than 10000 megawatts of installed capacity. FTI Consulting provides a range of advisory services addressing the strategic reputational financial regulatory and legal needs of energy and utilities clients across the spectrum including renewable energy. We have extensive experience of renewables strategy power industry restructuring M&A policy technology and disputes market entry forecasting supply chains and commercialisation. Ukrainian investment company Greenville Energy embodies the pool of investors who invest equity capital in renewable energy projects. The company in cooperation with TKS Development Company implements wind energy projects in Ukraine. 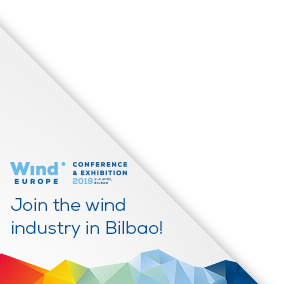 Investor and Owner solutions for onshore and offshore wind energy. Technical Due Diligence, Engineering and Project Management Services, Concept and Basic Design, Grid Integration, Tender and Contracting Support, Construction Management, Supervision and Monitoring, Operation Monitoring and Management Consultancy.